Hello everyone! I’ve returned to the blog after a long hiatus to report back on some of my recent travels abroad! As some of you know, I went to Belgium, Amsterdam, and Paris recently, so I want to discuss my experience traveling with my peanut allergy in each place, starting with Belgium! I’ll go over restaurants I vetted, various products in stores, and more. We stayed in Brussels, Belgium as our “home base” the entire trip and traveled to other towns and cities from there since it’s so centrally located. We absolutely loved the historic beauty across Belgium, especially in Brussels. One thing we learned when planning our trip was that Belgium speaks Dutch, French, and/or Flemish depending on where you go. 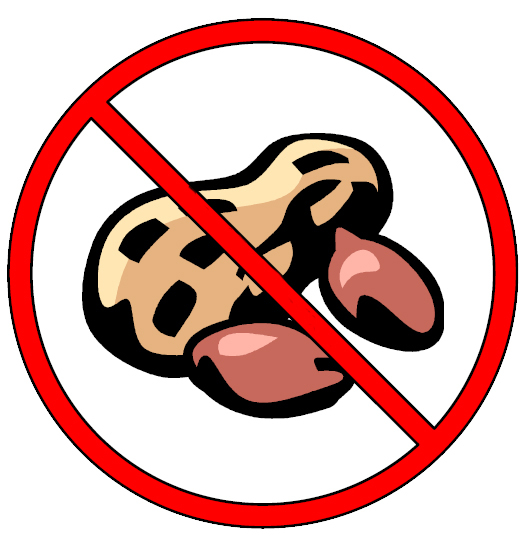 This made discussing my peanut allergy a bit trickier when writing restaurants beforehand, and while traveling there, so it took some extra legwork and print-outs. #1 I always, always, always write places beforehand to discuss my peanut allergy and if they use peanuts or peanut ingredients in their kitchen. This doesn’t ensure I won’t have a reaction, but it reduces the chance, especially in the EU where they enforce more food labeling laws and practices than the U.S.! I talk about this some in my previous piece on Product Recalls and Contamination. In the EU I’ve found they’re more knowledgeable and aware of allergies, allergens, and cross-contamination. Writing beforehand helps so we aren’t having to jump from place to place trying to find one that doesn’t use peanuts, especially when English isn’t their first language. Brussels is known for being French/Dutch bi-lingual, with English as their 3rd most-commonly spoken language. I personally would rather have my discussion in writing, rather than trust someone at their word when they’re in a hurry to answer a question I sprung on them while juggling other things. #2 Book a hotel with a kitchen if you can! It takes a lot of the pressure off eating out when you’re away from home. We do normally pay a bit more per night, but we try to stay in a place with a kitchenette so we can cook for ourselves whenever we want to! I truthfully believe it saves us money in the end because we aren’t having to eat out so much. One tip, bring a couple f Tupperware containers and plastic ziplock bags or plastic wrap with you when traveling so you can take meals to-go! We have stayed in plenty f hotel rooms without a kitchen, and it is more limiting, but can totally be done if that is your only option! There are tons of cooking hack tips online you can read about, but I’ve found if you have access to a microwave either in your room or main hotel breakfast area and some type of mini fridge, it’s not necessary to get into turning-your-coffeemaker-into-a-griddle territory if it’s not your thing (especially because you’d want to wipe it down REALLY REALLY well). #3 A new thing I’ve started experimenting with is printing out papers that say different things about my peanut allergy. I make two for my flights to pass out, one goes to the flight attendants requesting if they can make an announcement for others to refrain from eating any peanut products they brought on, and a separate one to pass around to the seats of the rows around me so people *hopefully* don’t eat peanuts next to me. I pre-board so I can wipe my seat and let them know about my allergy, so usually I can place them in the seats nearby without having to hand them directly to a bunch of people on my flights! I’ve gotten overall a really positive response to the ones I pass out to other passengers, only a few minor complaints or not-so-nice comments. The third print-out I do is a version to bring to the restaurant to give to my server for the kitchen. For the airplane, I made my little requests in French, Dutch, and English all in one, but for the restaurants I printed them in each language and brought the correct one with me depending on the location. Alright, now into the fun Belgium specifics! In Belgium we went to Brussels, Ghent, and Bruges. I planned Antwerp and Mechelen as well ahead of time, but we wanted to not completely kill our feet, so we didn’t make it to the last two. Shout-out to Delhaize Grocery! I loved shopping there and tried some great peanut-free Delhaize brand fresh pasta (made in Italy or France, I believe), fresh yummy produce, and Lotus brand packaged waffles to take around everywhere with me! I highly recommend stocking up on those- there are tons of flavors and types! Since the EU is required to label for more allergens, you’ll notice on my pictures below that ‘sulphites’ are something they label for, and in my experience you can more easily find safe products in stores that label for ‘may contain’. Since we had a kitchen, we did not go to all the above places! We had a beyond-great experience with Cantillon Brewery, Moeder Lambic, Peck 20 and Maison Dandoy, and those would be the main places I recommend! For the restaurants, both of the owners were very responsive and knowledgeable, and made me feel comfortable. Here photos of my savory waffles from Peck 20 and sweet waffles from Maison Dandoy (which I got one almost every day!!!) . To my delight, Maison Dandoy has multiple locations and SO many lovely treats. I would be wary of going to breweries and bars without checking before, I found a lot of places do have peanuts out for snacking. Here are a few photos from my trip to show what Brussels looks like, it was gorgeous and affordable! Known as the vegetarian capital of Belgium, with a ton of vegan and vegetarian options, the place we chose and were absolutely obsessed with the veggie burger and fries from was De Frietketel. The vibe in there was really hip and fun, too. They fry in sunflower oil and had no peanut products in the building and were very aware of allergens, it’s run by a young couple! I actually did not find any places in Antwerp I trusted or that did not use peanuts, but we also didn’t end up going and had a feeling during our trip we may not, so I didn’t reach out to as many as the other cities! That’s a wrap! Next post will be on France, which was FAR more tricky to navigate than Belgium, and peanuts were way more prevalent.